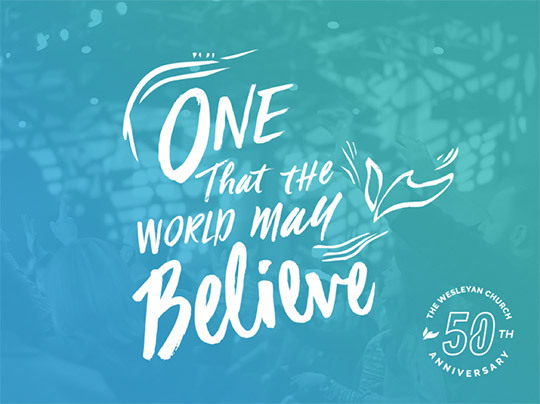 The Wesleyan Church celebrates 50 years of ministry on June 26, 2018. Yup, that’s tomorrow. 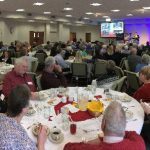 More will be said about this at District Conference but this Wesleyan Life article gives the full story including a 3.5 minute video narrated by General Superintendent Wayne Schmidt. In honour of this historic union, you can experience the actual merger service through an audio recording that will be made available on The Wesleyan Church’s Facebook page tomorrow morning at 8:30 a.m. (Eastern) – 50 years to the day and hour of the merger ceremony. At the invitation of District Superintendent Peter Rigby, I was honoured to represent the Atlantic District on Friday at the Central Canada District Conference at the Centennial Road Standard Church in Brockville, Ontario. 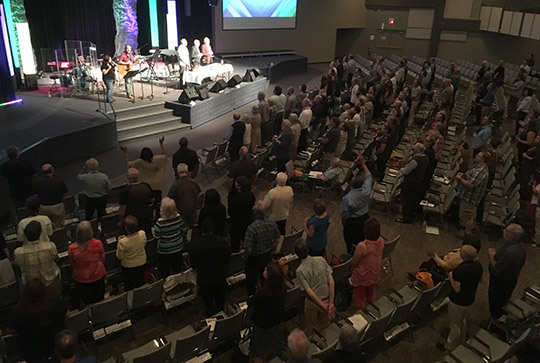 This expression of solidarity and growing relationship between our districts in the new established national conference of The Wesleyan Church of Canada, will be reciprocated as he comes to be with us on July 11-13th. It was encouraging to interact with so many effective leaders as we celebrated Kingdom wins and connected in our shared mission to see the Gospel advance. The growing momentum of our future together was palpable as the appointment of our next National Superintendent Stephen Elliott was ratified unanimously by the CCD Conference! The full announcement regarding the conclusion of Dr. HC’s two-year appointment and the succession of Dr. Elliott was sent in this separate communication on Tuesday. In summary, National Conference has been rescheduled until 2019 (date/venue TBD). Steve Elliott’s appointment by the National Board as our next NS must be ratified by the aggregate District Conference vote concluding on July 12th as he prepares to assume office for a four-year term commencing on August 1st. As the role of National Superintendent is not full-time, he will continue as part-time professor at Kingswood University. One of the special features of the CCD Conference included plenary sessions and seminars. Rev. Tanya Nace, Executive Director of World Hope Canada – International tag-teamed an inspiring seminar with National Superintendent Joe Ocran of National Wesleyan Church of Ghana. These are great days for WHI-C in its renewed synergy with global WHI operations. Tanya will be sharing at Beulah Family Camp and District Conference. 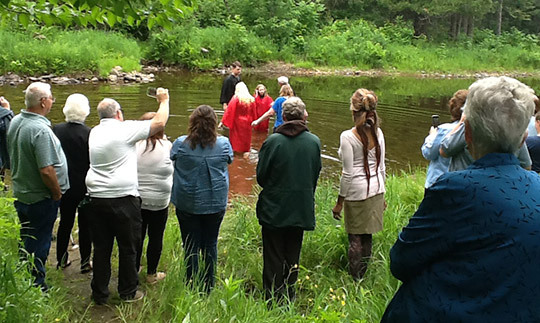 Peter Main (Crystal) celebrated three river baptisms yesterday! He and Joan have served faithfully in this rural community for 22 years over two pastoral appointments since 1991. Rev. Lisa Jo Graden will be succeeding him as Lead Pastor on July 9th. Yesterday was a huge day at Hope (Carl Brewer). This was the final Sunday for Carl and Evelyn as they prayed over the incoming pastor, Joanne Ozon and her husband Mike. Following the service two baptisms were celebrated at Lake George. 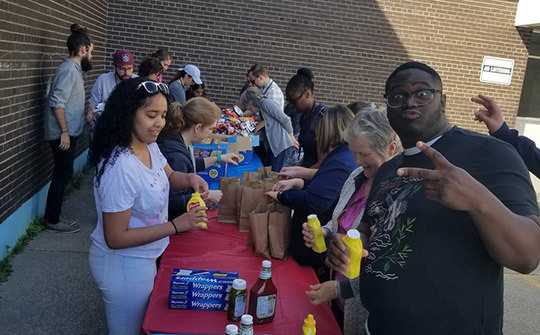 Deep Water (AJ Thomas) recently mobilized 20+ pastors and volunteers to serve a year-end BBQ for the 220+ students of Joseph Howe Elementary. This was part of the ongoing relationship Deep Water has forged with this inner-city school approximately 100 meters from their location. Looking good Bradford! In less than two weeks Beulah Family Camp 2018 begins! Beginning with a Prayer Covering Service on Friday, July 6, this 10-day Kingdom experience is jam-packed with a smorgasbord of opportunity for growing in Christ and sharing in fellowship as planned by Executive Director Andrea Gunter. Kelly Jay is back to lead worship and our camp evangelists (Kyle Ray & Mike Hilson) this year are both well-known for their Kingdom leadership of mega-church movements and their authentic, convictional messages will challenge you to go deeper with Christ. The musical guests on both weekends will introduce some faces that are new and others that are known. We are excited to have Chris Stephens coming back to the district who will be performing with the Brothers McClurg on the second weekend. The District Office in Moncton is closed until after Labour Day and is now operating at Beulah Camp. 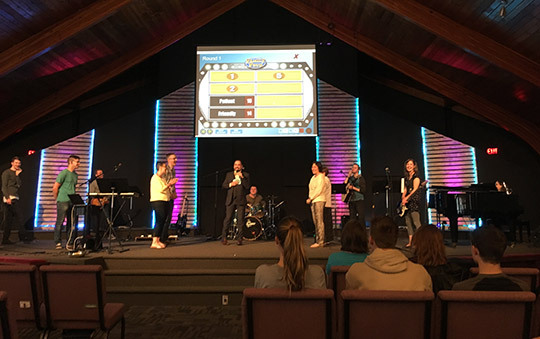 Fifty new students in just six weeks have started courses in preparation for ministry at Kingswood University through a program launched this spring. For more detailed information and to learn how you can take advantage of this exciting new development check out the KU Extended promo in Upcoming Events. 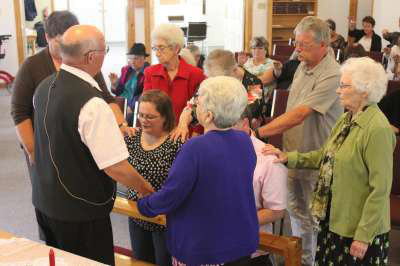 One of the highlight services at Beulah Family Camp on Thursday @ 10:30 a.m., July 12 (District Conference), will focus on the effective ministry of those, “In the Line of Fire.” Many of our pastors and lay leaders dutifully serve in chaplaincy and/or front-line work with the fire, police, correctional, military and other forms of providing protection and ensuring freedom. 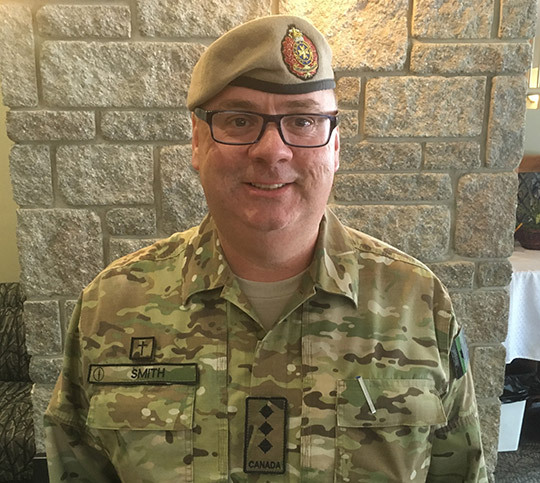 Padre Ray Smith, KU Alumnus and Captain in the Canadian Special Forces, will be sharing following a special panel interview. All those who serve are encouraged to wear their dress uniforms to the service. 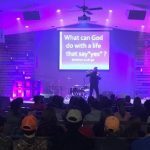 Saint John First (Graham Perry) concluded a six week “Family Feud” series with a powerful message from the temptations of the Garden of Eden. All new for 2018… Check out this summers lineup! Special events, breakfasts, dinners, movies, services and more. Every weekend a great lineup for the whole family. Check out the schedule and don’t miss a minute of the fun! Check out the radio ad with musical promotion of the three-artist July 7th concert. 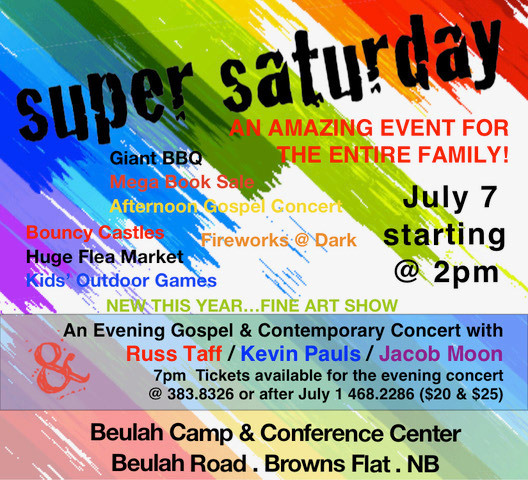 Beulah Family Camp accommodations and programs are filling up fast. This packed 9-day Kingdom experience includes many opportunities for the whole family in worship, fellowship, discipleship and leadership development. For those involved in leadership of children’s ministry please make special note of the “KidMin Mini Huddle” on July 10th! 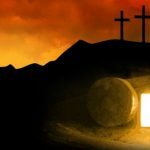 TONS of FREE resources to give away, encouragement and AIR CONDITIONING! Plan to be there in the Upper Room of the Beulah Hotel (Dining Hall) at 1:00 p.m. – 2:30 p.m. on the Tuesday of Beulah Camp. Raising leaders matters. This value will receive special highlight on Friday, July 13, at 1:30 p.m. during Beulah Family Camp. This 1.5 hour workshop will feature Duffy Smith in a session entitled, “Raising and Releasing High Capacity Kingdom Leaders.” As pastors we often fail to understand the best practices to engage and empower high capacity lay leaders for Kingdom purposes. Like the workshop with GS Wayne Schmidt last year, this is entirely optional. Duffy has a lifetime of marketplace influence and is deeply passionate about helping pastors experience the joys and impact of unleashing the Kingdom force often overlooked or unharnessed in high capacity lay leadership. You are encouraged to make plans on Ordination day to stay for this afternoon session and to invite one or two of your key lay leaders to share in this workshop. 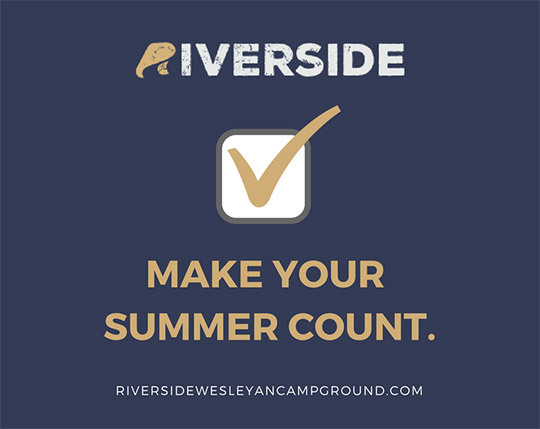 For those who enjoy the summer ministries of Riverside Wesleyan Camp 2018 registrations are open and filling up quickly. Elementary School Camp is July 9-13, High School Camp is July 15-21, and Middle School Camp is July 22-28. Make note of the new Family Camp schedule, which is now Sunday through Wednesday starting July 29th (Mel Norton is Camp Evangelist). Visit www.riversidewesleyancampground.com for more information and to register online. More than a minister’s conference. The Gathering is a reunion of ministry family and friends. A sabbath for our souls. Coming together to stop, rest, pray, play and thrive. A chance to celebrate what God is doing in our lives and ministry through meals, stories, inspiration and worship. We know this will be a gathering you won’t want to miss! Wesleyan clergy & spouses are invited to register this summer. Registration opens June 1, 2018. 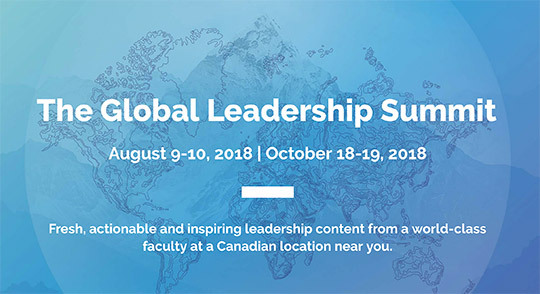 What an opportunity we have to partner with Craig Groeschel, John Maxwell, Erwin McManus, Danielle Strickland along with a truly impressive and diverse faculty of 15 speakers on what’s shaping up to be another amazing GLS. We believe that, as in the past, God is going to powerfully anoint and inspire through this event once again this year. So, if you’re looking for some fresh inspiration and highly actionable learning for you and your team this summer, I’d love to have you join us! Click here for more info, to register and leverage the substantial early bird savings which end this week! Kingswood Extended launched on May 1, 2018 as the newest initiative for ministry education from Kingswood University. 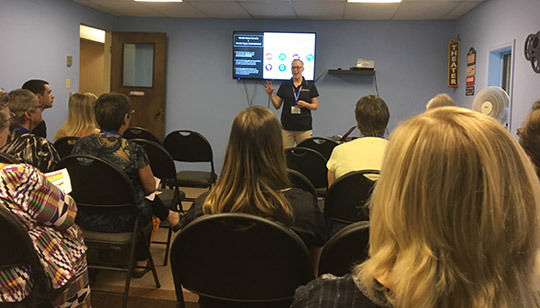 Aimed at providing quality online ministry education at the certificate, undergraduate, and graduate levels, with the flexibility to accommodate the unique demands of work, life, and ministry, the program is proving to resonate with churches and districts across the Wesleyan denomination. In the first six weeks, over fifty students have enrolled in the certificate-level Flame and Correspondence Courses, which are ideal for those looking to further their ministry training or are pursuing ordination through The Wesleyan Church. Send us an email, give us a call, or drop in for a visit.